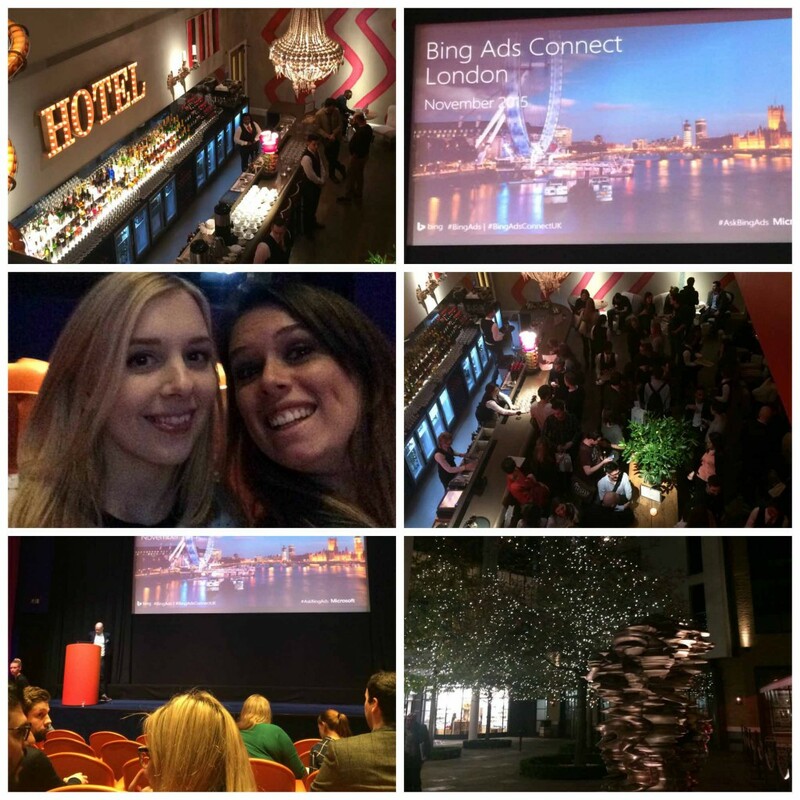 On Wednesday 11th November, Charlotte and Holly ventured up to London to the Ham Yard Hotel for Bing Ads Connect UK! The venue was fabulous, and we found it was really easy to get to – result! The small audience number of around 200 people made the event feel a lot more personal and engaging. There was a host of great speakers, and we particularly enjoyed Tor and James’ talk as it was about the psychology of search and user behaviour. Whilst there, we learned about the importance of voice search, and how we need to adapt our PPC approach based on the more longer tail queries that are a result of voice search. It was interesting to see that Bing is integrating across Windows 10 and Siri, and will soon have more access to a lot more information (they currently have access to Spotlight, Cortana, Kindle and Amazon as well as Windows 10 and Siri) and this should then give marketers a greater insight and better targeting options in the future! Mobile and Local was also a hot topic, in particular, optimising your mobile ads based on user’s search location on a mobile; this is because users want to take actions quickly when using a smartphone. Bing also addressed the importance of continually challenging yourself when it comes to PPC, and not just following best practice because your approach has worked well in the past. All in all, we had a great day and thought the swag bags were awesome! Charlotte’s key takeaway: Voice search is on the rise!